The hardest thing about saving money is simply getting started. Though it can be tough to figure out some smart ways to save money, yet most people are confused about the initial steps that they should take to start saving. Whether it’s by denying yourself that $5 mocha latte which you have once in a week or calling off your family vacation or by prompting yourself to sell old gift cards, everyone has their own way of saving dollars. If you too have been looking for some effective ways of saving money, here are some that you may take into account. The foremost step to take for saving money is to know how much money you’re spending. For a month, keep a record of each and everything that you spend. Every newspaper that you buy, every coffee that you order, every snack that you purchase throughout the month should be recorded. Once you have your data, organize such numbers according to category like groceries, gas, mortgage and so on. Then get the total amount of money. One of the best ways of saving money is by keeping in mind what exactly you’re saving for. If you’re in need of any kind of motivation, set some realistic saving targets along with a timeline to make it simpler to save. Now that you have a target, know exactly what you can save each month in order to achieve your personal goal. You may earn a fixed sum of money but do you pay yourself first? Set an auto debit from your checking account to savings account on the date of payment. Irrespective of whether it is a $50 every 2 weeks or $500, don’t cheat yourself. Always pay yourself first and then think of other payments. No, this is definitely not an easy step to take but if you can successfully stop smoking, you can save an average amount of $3000 a year. As per Centers for Disease Control, the percentage of Americans who are smokers is presently below 20%. Come on, join the club to realize your saving goals. If you’ve got auto insurance coverage, rethink ways in which you can save money. For instance, you may consider raising the deductible so that you can lower the premium amounts. For vehicles that are old, evaluate whether or not you actually require collision coverage, which covers damage to the car when your car hits another vehicle. Also get into the habit of comparing auto insurance quotes so that you may switch over. 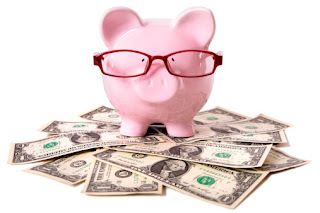 Therefore, if you think you’re laid back about saving money, you should follow the above mentioned steps to save money. Save as much as possible so that you don’t have to worry about your future financial issues. Also keep saving for your post-retirement age to avoid having a struggling life.